Carinn; carerynn | Malaysia Fashion, Beauty & Lifestyle Blog: Community: Shop for Charity at Natta Cosme! Now, the typhoon-hit victims are seeking your help to donate to them. The people who have lost their lives left behind their heartbroken families and they are in dire need of clean drinking water, food and shelter, everyday basic necessities to live. How can one not be touched by their stories? Well, I believe in karma and if you do good, good things will come back to you. Remember my last post on how to donate for the victims of Typhoon Haiyan? If you're a student like me with no set income, one of the best ways you can help is through little efforts like donating through ChurpChurp/ Nuffnang. Being beautiful is skin-deep as well and goes beyond having the perfect outlook but rather, a kind heart too. In true spirit of Christmas giving, Natta Cosme, a beauty website, has come up with a charitable cause for the typhoon-hit victims of Philipines. 1. Girls (and guys), you can do your part by firstly, logging in to the website and/or creating an account with Natta Cosme. 2. There is a tab laelled "Charity" and it will direct you to more information on why Natta Cosme is helping the victims of the typhoon. "'In Natta Cosme, we strongly believe that absolute beauty does not stem solely from the external perfect skin, the internal beauty expressed through various kind acts is equally crucial to show your unique gorgeousness as well. Life gives to the giver and takes from the taker." 3. Now this is my favourite part; you select any item labelled [CHARITY] from the products below. Price range from RM3-RM55.92, and these are at promotional price yo! Should you choose not to purchase anything, you can always click on the "DONATE" option. RM10 may not be a lot to us but who knows, it might be worth a lot to the typhoon victims? 4. Select your desired item and proceed to your Shopping Cart. 5. Proceed to Checkout and follow the consecutive instructions, and you're good to go! So you see, it IS possible to be beautiful and be charitable at the same time! The December Beauty Bag - Sunshine Edition was sold out yesterday but I was in luck as Natta Cosme released a Rainbow Edition bag today. Shop & Do Charity at the same time yay! Here's the best part: ALL PROCEEDS FROM THE SALES HERE WILL GO TO THE VICTIMS OF TYPHOON HAIYAN. The donations collected will be transferred to FoGuang Shan Malaysia in February 2014 and Natta Cosme will publish the receipt of donation on their Facebook page. Another piece of good news; Natta Cosme will give out Natta Cosme Chinese New Year Angpao Packets for free to any customer who donates. Please note that these are WHILE STOCKS LAST. If you are a blogger, you can help by spreading the love and get more people to join in the cause by blogging about it. At times like these, it dawns on us just how lucky we are to be living in a disaster-free country like Malaysia. 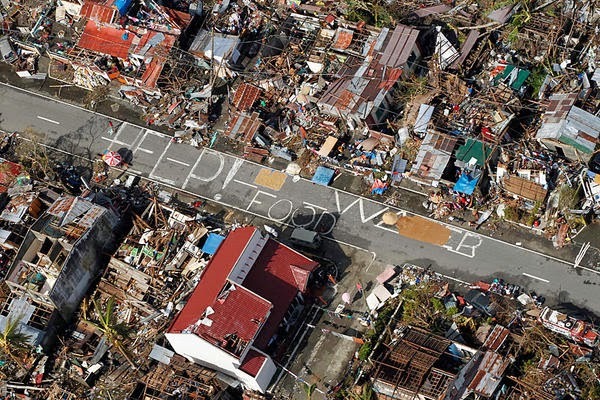 Most of us may never have to go through what those typhoon-hit victims are going through. But we must always count our blessings, and give back to those who are less fortunate. Do spread the word about this worthy cause! Let the people of Philipines know that they are not alone in facing this tragedy and that people all over the world are united and willing to help them get through this. 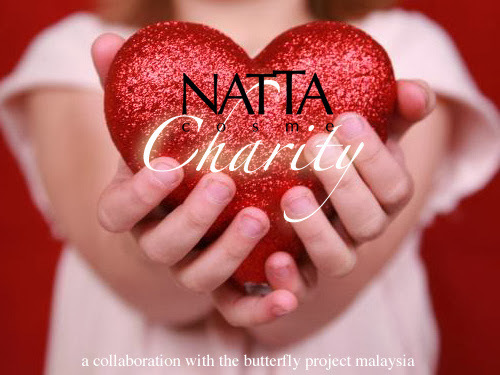 This is a project by Natta Cosme in collaboration with The Butterfly Project Malaysia. You're welcome. Please donate if you can! Btw, did you manage to follow me via GFC ? ?